Getting to the top of the California Tower in Balboa Park. Find out where in Downtown San Diego, Invader has hidden his 21 Space Invader tiles and go on the Space Invader Walk. Learn about what you need to do to prep and get yo Havasupai Falls. Cowels Mountain is a popular hike and the tallest mountain in San Diego City. Get Directions, learn about it's history and tips for best time to go! If you've ever driven through Carlsbad on the I5, then you've probably seen fields of brightly colored flowers on the Eastern side. these fields are actually open to the public, and you can explore the fields for yourself! 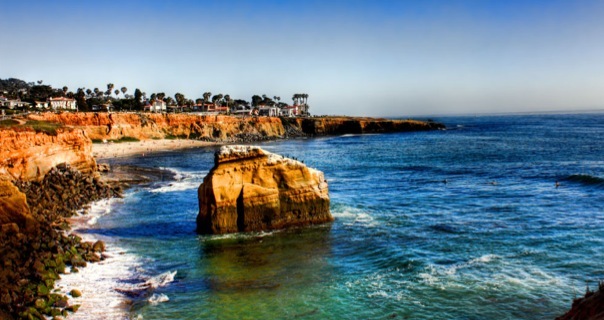 Sunset Cliffs Beach is an idyllic sliver of sand in the middle of Sunset Cliffs Park. With a nice break and few crowds, it is a great spot to spend a whole afternoon or just a lingering sunset. 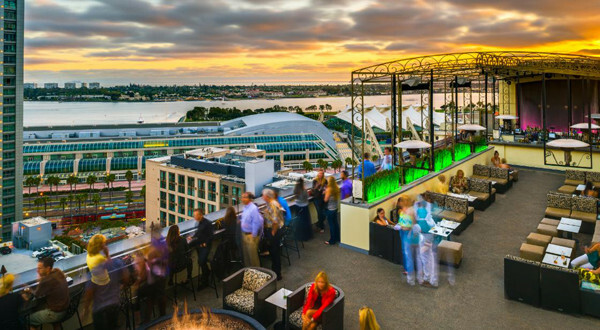 Check out one of the coolest rooftop bars in San Diego. A great place to bring a first date for drinks, to show around friends from out of town, or just to enjoy the sunset. Have a Secret Spot? Submit it! © Copyright Secret Spots 2014.